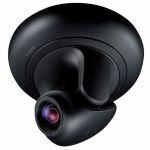 The VB-C500VD vandal resistant mini dome network camera is ideally suited for a wide variety of applications where discreet high quality surveillance over a network is important- making it the perfect choice for monitoring correctional facilities, transportation areas, financial institutions, schools and retail stores. 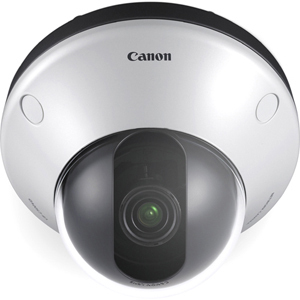 The vandal resistant dome minimizes damage to the camera caused by tampering or vandalism. 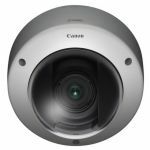 Featuring an 82° wide horizontal field-of-view and exceptional low-light performance, this versatile mini-dome network camera maintains exceptional image clarity throughout the entire field of view, in a variety of lighting conditions. Canon's exclusive DIGIC NET technology ensures high image quality and high speed communication. 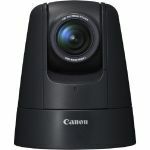 An advanced pivoting axis lets you position the camera at exactly the angle you need, while genuine Canon optics ensure the sharpest, most color-perfect images possible.